Now more than ever, the media is so dominated by politics that it’s easy to feel inundated with political news, opinions, and arguments. This in part because it’s no longer just on television, but also all over the internet and the social media landscape. No matter what your personal political stance may be, this constant barrage of politics can be very stressful. The important thing is not to let yourself get overwhelmed by it all, and if you are unable to avoid it, to try to positively deal with politics-related stress. The most direct way to handle political stress is simply to avoid it. While you can’t completely sever yourself from television, the internet, and social media, it’s vital not to let yourself get completely obsessed with it. The more time you spend clicking news stories and reading different opinions and arguments, the more stressed you’ll become. Take time to step away from it all and instead engage with what is directly in front of you, whether it is your family, your job, or your favorite hobbies. 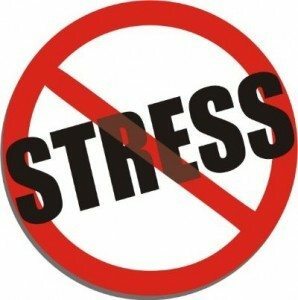 Another option when it comes to handling political stress can be to get active. Many times, political stress can come in the form of feelings of helplessness, or like there’s nothing you can do about a political cause or situation. If there’s a specific political cause that’s close to your heart, become an active part of that cause in whatever way is available to you, even it’s something small, like making a donation to it. Knowing that you’ve at least done something to forward your political cause can ease the feeling of directionless political stress. The most important thing to remember is that, like everything else, moderation is key. While staying politically informed is important, you can’t lose sight of your personal life outside of politics. If you let politics become your life, you’ll allow yourself to be consumed by stress. If find yourself unable cope with stress, and struggling with anxious feelings, reach out to Susan Block, a Coral Springs counselor who is experienced in depression, anxiety, grief counseling, couples counseling and more. Call 954-675-1936 today to schedule a consultation.